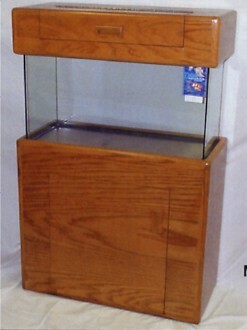 The Nautilus Series is part of our custom line of cabinet stands available exclusively by special order. Available in a variety of finishes, the Nautilus Series is constructed of solid oak hardwood and oak veneers. This design boasts clean simple lines, flush mount doors, and matching recessed oak door pulls. *Constructed of solid oak and oak veneers. *Flush mount, touch latch doors with oak pulls. *Removable rear bracing for easy installation of filtration and mechanical systems. *Matching 6.5 inch canopy available.